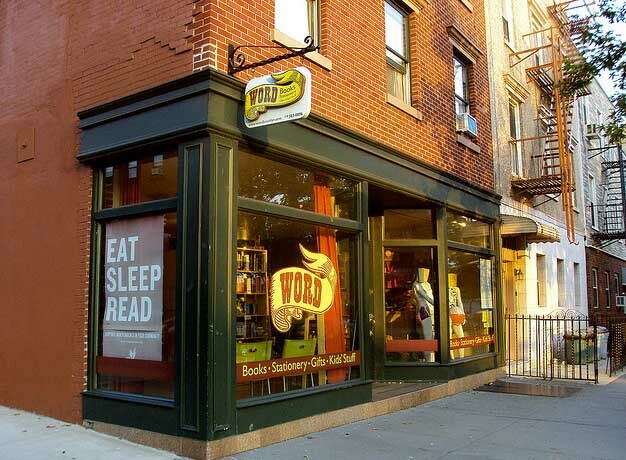 Paid Author Events: The Future of Independent Bookstores? In this lengthy investigative report, we talk with numerous customers, booksellers, and authors to determine whether paid author events reflect a legitimate path for the independent bookstore. It was a humid Wednesday afternoon, and I was outside BookCourt with a microphone. That morning, a New York Times story about paid author events ignited a firestorm on Twitter. 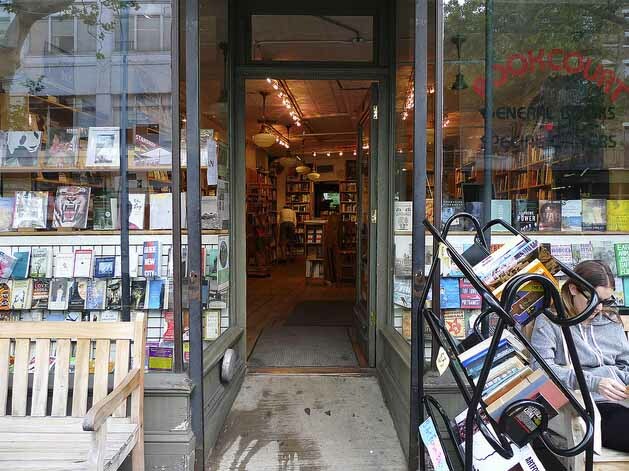 Some independent bookstores, hurting for cash, were now charging admission for a reading. Sometimes it was as little as $5. Sometimes it was the price of the hardcover for an off-site event. What had once been free was now the cost of a pint at happy hour. These developments began in April. In Colorado, Boulder Book Store announced that it would charge $5 a head to attend an event. 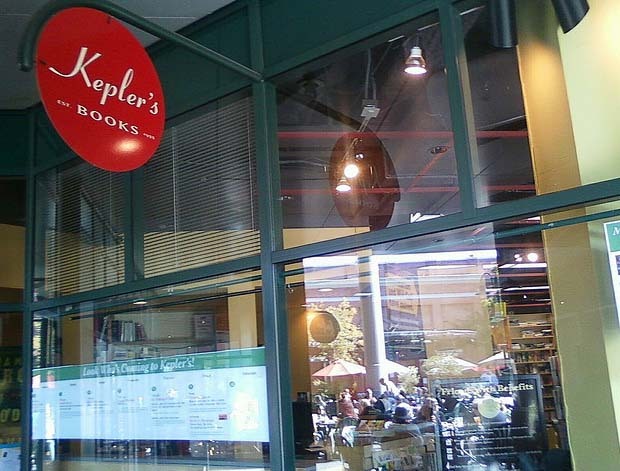 In California, Kepler’s demanded a $10 gift card to admit two people through the new paywall. Was this reasonable? Or was this a form of gouging? Wasn’t the purpose of an author event to give the customer a chance to sample the goods? And would such a practice, as Ann Patchett suggested, scare off those who didn’t have the clams for a hardcover? And why had nobody talked to the customers about this? The time had come to sweat in the sun and ask every person leaving BookCourt to take part in “a journalistic survey.” I talked to as many customers as I could before the next thunderstorm broke. Some people were skeptical. Others were kind, but in a rush. One woman ran away, calling me “one of those goddam bums.” (In my haste, I had forgotten to shave and I was wearing an old T-shirt.) But most were accommodating. Miriam, a 35-year-old consultant, told me she attended two to three author events a year. She likes “to learn about the work that goes behind the writing.” Asking stimulating questions and “the author’s voice” were also big draws. She said that she would pay $5 for an author event “if it was an author I liked.” The $5 fee wouldn’t make a huge difference, but she felt that “these things should be free to get the maximum number of people.” Miriam said that, if she were intrigued, she would pay for a debut or an unknown author event. But the biggest reason that Miriam went to events was knowing the author in question. Patty Greenberg, a 60-year-old stay-at-home mom tightly gripping the leash of a rather large and very well-groomed poodle, told me that she only attended one author event a year and that she would only pay $5 if she was really interested in the author. 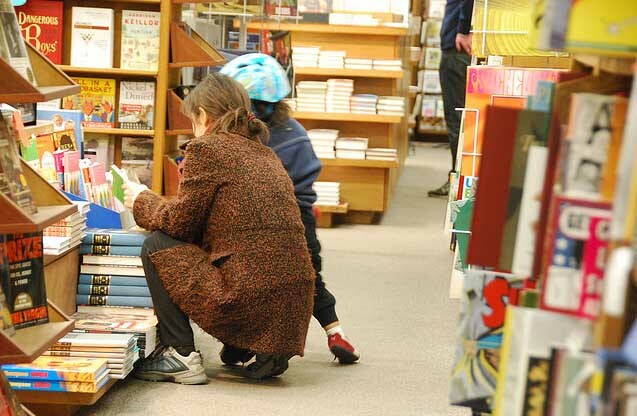 While paying for an event would make her think twice, Lynn said that, despite her teacher’s salary, she would pay $5 if she had to because she loved independent bookstores and wanted to see them flourish. “There’s a reason I don’t buy used books.” But she did say that her husband would probably give her a hard time if she was forced to pay out $200/year. Lynn told me that she had been disappointed by some author events. “I just go to go. It would have to be more of a schtick. Some do interviews. And some just read. I might be a little more thoughtful about the events that I go to.” I asked if she would want more from a reading if she was ponying up a Lincoln. “Yeah,” said Lynn. “Instead of Paul Auster reading, Jonathan Lethem interviewing Paul Auster. Maybe there’s wine and cheese.” Like other paid author event supporters I talked with, Lynn said that she would have to be somewhat familiar with a debut or unknown author to attend a paid author event — perhaps through a story in The New Yorker or One Story. Will Paid Author Events Create More Demands? What do these conversations tell us? It reveals that people like Lucas and Doug Stone often attend author events when it is random and that these happy accidents can produce potential acolytes. Nearly all of these customers see the author event as an experience to get to know the author beyond the book. Attending an event represents a perceived social experience. A $5 fee not only created the distinct possibility that debut, experimental, and unknown authors would be cut out of the loop, but it created new demands upon authors and bookstores. Would authors be required to perform? Should the authors be compensated? Would the audience demand more? “Author events are a kind of gentlemen’s agreement, in a way,” says memoirist Alison Bechdel, who also offered an idea of authors performing foot massages for a small fee and splitting the take with the bookstore. “It’s understood that the bookstore and the author and the publisher all have a stake and a responsibility, but it’s a complex, overlapping mix in which you all depend on one another and work as hard as you can to have a successful event. All three parties want to sell the book. But there are other, less commodifiable, elements in the mix. It’s worth something to readers to have access to an author. It’s worth something to authors to have the opportunity to reach readers. It’s worth something to bookstores to get traffic and possible new customers. And when, inevitably, there’s an event that no one shows up to, the toll is not just financial — it’s depressing. I reached Tayari Jones by telephone as she was in the middle of a very involved indie-friendly tour for her latest novel, Silver Sparrow. Jones said that she was very grateful to the independents for their support of her book and that she wanted to do whatever she could for them. But she did express some reservations about paid author events could solve present problems. Jones has adopted one strategy of informing her audience why it’s important to purchase a book at an indie — even if members of her audience have already done so. “It’s worked every time.” She notes that when such a request comes from the author (instead of the bookseller), it tends to have a less partial perception. Still, as former bookstore marketing manager Colleen Lindsay has observed, the author event is fraught with significant costs, including expenditures for returned books and those customers who couldn’t purchase a book that they wanted. Jones, O’Nan, and Weiner all tell me that they work very hard at their author events. “I go out and give my all every time, whether I’m being paid decent money at a big university or reading for free at a tiny library,” says O’Nan. “My secret weapon is baked goods,” says Weiner. But do performance elements — what the dedicated bookstore customer might call “schtick” — create new demands for authors and bookstores in the 21st century? While Weiner says that she would pay considerably more than $5 to listen to author Jen Lancaster, which she compares to “attending a stand-up performance,” author events can sometimes work in reverse. It remains to be seen if paid author events will become a new regular fixture at this early stage in the game. In the meantime, some authors simply hope to go on with their business.